When Queen Kamarla writes tracks such as "CONSTANT STRUGGLE" ( Melodious - EP) she is writing from the very core of her existence. And not unlike most of her musical counterparts she speaks of abuses, poverty and neglect as her early teachers. But for some people PRESSURE MAKES THE MOST BEAUTIFUL of DIAMONDS. 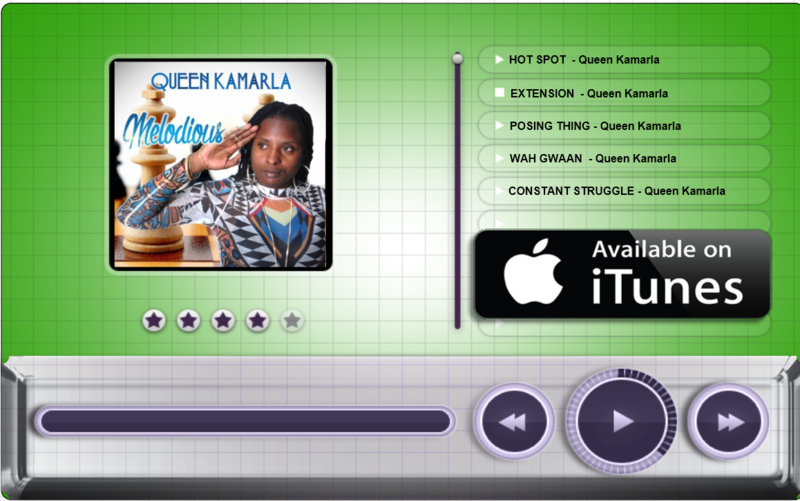 And for Queen Kamarla, the music which kept her focused and motivated .... had to shine ! Poverty closed a lot of doors for this lady. Completing her education being one of them. Becoming a mom at 15 was another. However nothing was going to put out the REGGAE FIRE in Queen Kamarla's heart. 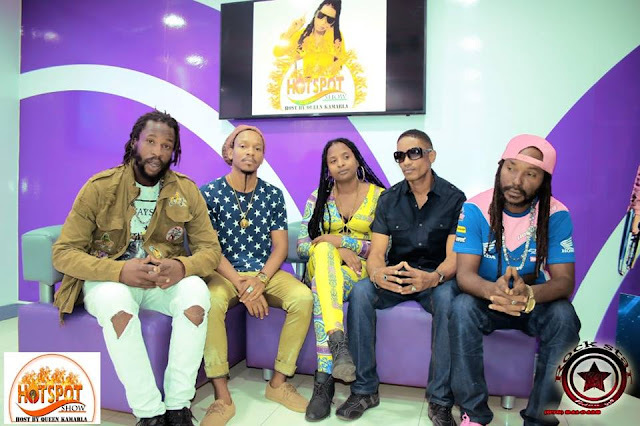 It was while caring for the kids that she worked on honing her own identity and crafting her brand within the Reggae Genre . 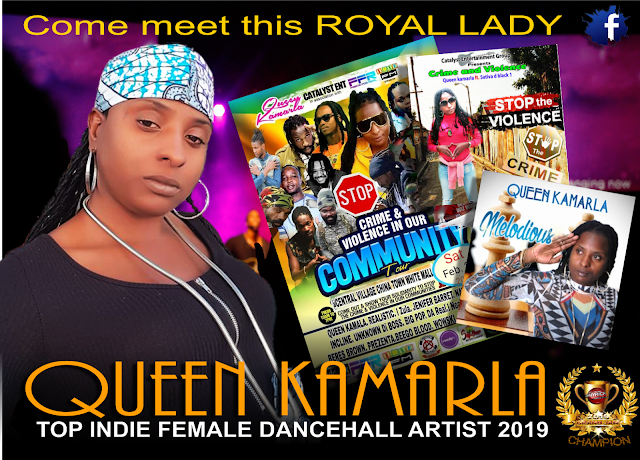 Queen Kamarla has done music for the great Sugar Minott as well as Horace Andy. 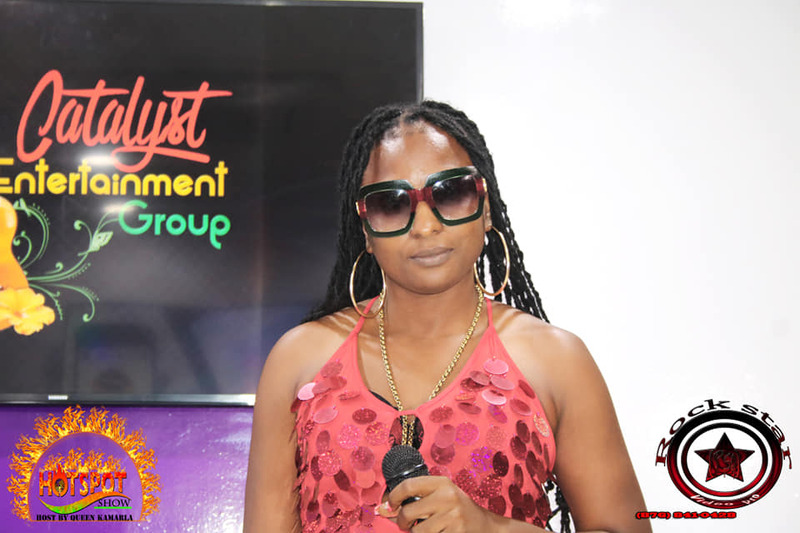 It is while working with these two men that she came up with the idea of forming her own label; "Catalyst Entertainment Group", which means a change for good in anything. 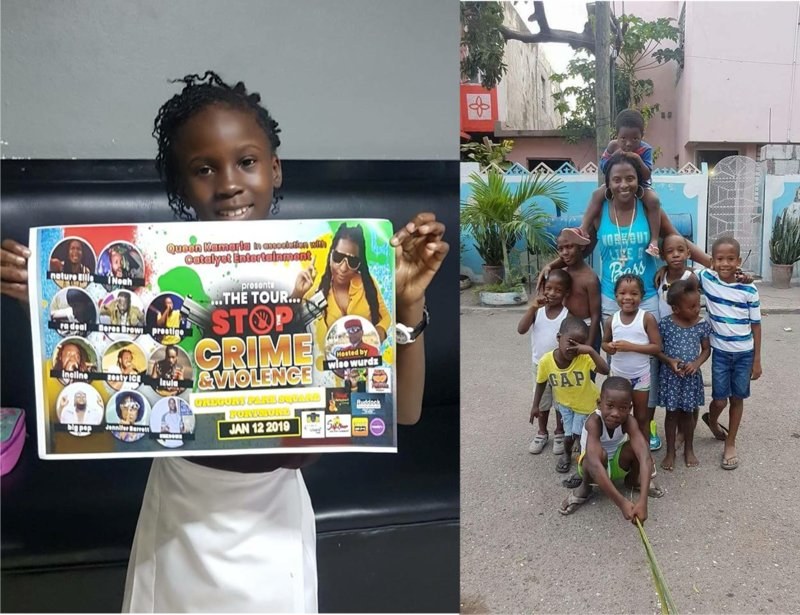 Kamarla believes in this philosophy it was her answer to surviving the struggle and so she continued with the mindset to make her visions a reality. She had nothing to lose and much to gain. Poverty wasn't going to hold back this vivacious artist. She became highly skilled at networking in SOCIAL MEDIA to get the much needed promotional attention and it was paying off. 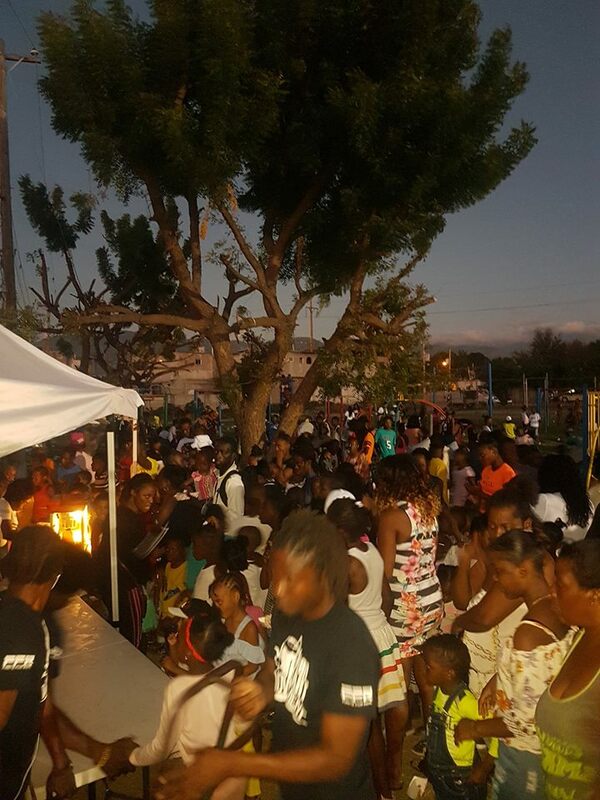 DJ's all over the world were linking up for promotional tracks . The brand was taking flight. 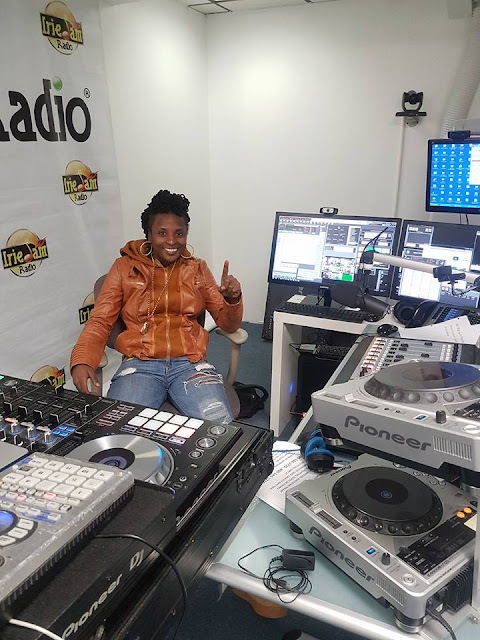 2016/2017 dished out some extra challenges for this emerging artist, her mother passed and her son was undergoing surgery in the USA. Yet despite all the pressure Queen Kamarla answered with hosting Trench Town Unity Fest,, which offered organized events such as a football competition and a concert for the residents of Trench Town . Artistes who participated included Natty King, Hawkeye and Alozade . 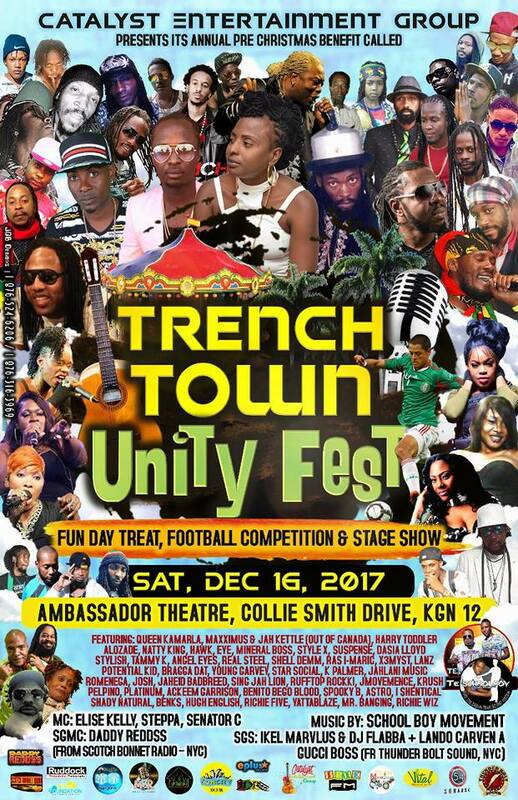 This also gave Queen Kamarla the event organizational experience she needed to take a very bold step and promote her track "CRIME AND VIOLENCE" as a tour designed to foster a sense of community in war-torn areas savaged by gang violence and poverty in Jamaica. 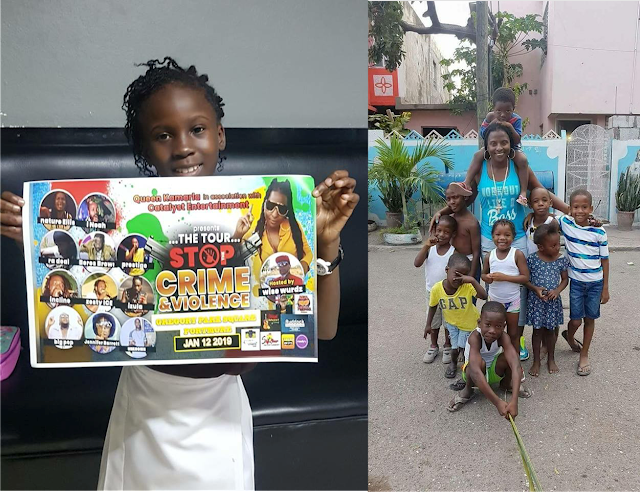 She has focussed her efforts on depressed communities in the Corporate Area. Queen Kamarla's label Catalyst Entertainment part-sponored the tour and it has definitely turned some international heads. HOT SPOT and CRIME AND VIOLENCE both landed in GRAND JAM 2019 having received the nod from a Global Listener. 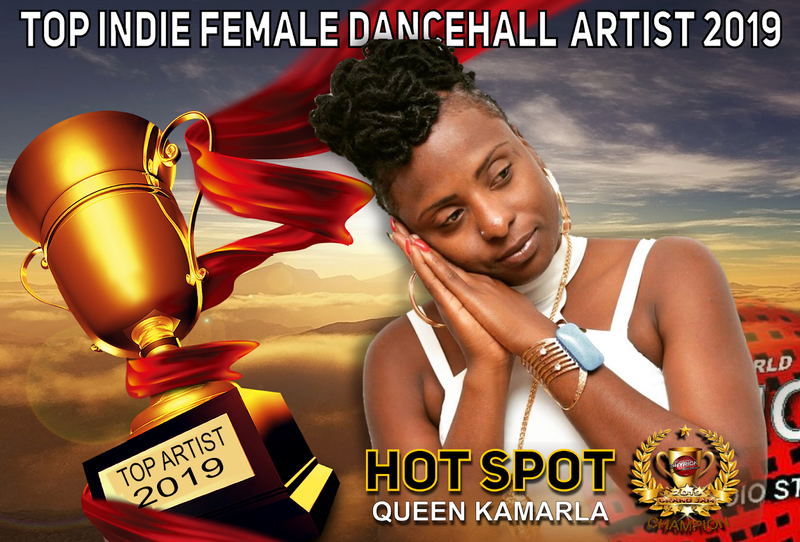 HOT SPOT has won Queen Kamarls the title of "TOP INDIE FEMALE DANCEHALL ARTIST 2019" A well deserved title for this hard working and talented lady.